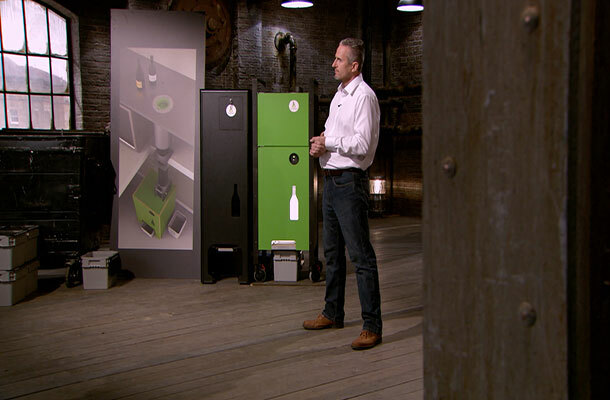 Now that we’ve had more than a few days to nurse that New Year’s hangover the team have let me loose on another Dragons’ Den blog. Just before I head off skiing too, aren’t they thoughtful. The Dragons this week seemed to be on a January Sales spending spree as all but one of the pitches secured investment. One pitch is even offered more than they asked for! Our first product has bean on a wonderful journey from Bali to Australia to Germany and finally reached UK waters. 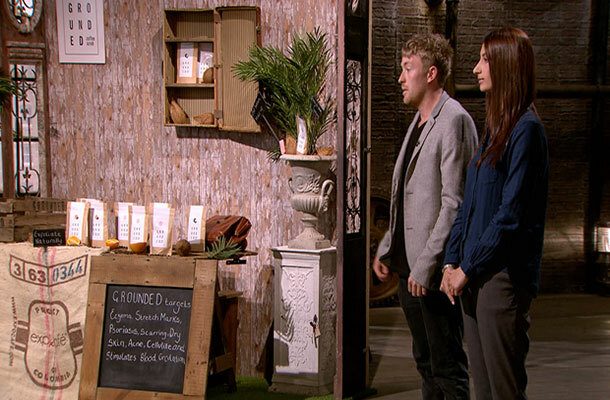 Lloyd and Tasha have brought coffee-based body scrubs Grounded into the UK market. Peter Jones highlights the main issue with this type of product. What stops others doing this too? It is difficult to protect a concept or an idea, especially when it has been around for a while. Where this is the case a company’s brand is its most valuable asset. This is clearly on Lloyd and Tasha’s mind too as they intend to invest the money in advertising and marketing to help promote their brand. But ‘have they protected their brand?’ I hear you cry. By doing a quick and easy search on the IPO’s trade mark searching database we can find out. Click on the link and pick ‘keyword, phrase or image’. Type in ‘Grounded’ in the search words box. Press enter and see what comes up. And the answer is…yes, Grounded body scrub have a registered trade mark for their logo as UK00003098297. Not only this, but we can see if there are any other similar trade marks and what those companies trade in. It turns out Tasha and Lloyd scrubbed up pretty well and walked out with an investment of £30,000 for 45% of the business. It’s not just brands that make it into the headlines this week though. The first lesson on patents is brought to us from Glassbusters. Pete Ancketill mentions their compaction system, which they “have patented”. But what does this mean? In Pete’s terms he meant that the application has been applied for, but not yet granted. A quick search shows us that he’s got an application filed, WO 2014049353 (A1). This shows us a couple of things. A WO application is an international application. This means they intend to get a number of patents around the world. Bear in mind that there is no such thing as a worldwide patent. The closest you get is a WO application, which will eventually generate a number of patents around the globe. The A1 means that this is the published application, not granted. If this was a B instead of an A we would know that the patent was granted. If you want international protection through a number of countries outside of Europe then you may find the best route is through World Intellectual Property Office. However this is a very complex system and as with most patent applications, we strongly recommend the use of a patent attorney. You can find a local attorney through CIPA. Thankfully Pete keeps his bottle as Nick Jenkins offers a glass 30% full and gives him the whole investment. Spencer Turners’ Tegstove (camp stove) rounded up today’s episode and got the dragons all fired up. A great lesson provided by Spencer is that patents aren’t necessarily ‘break through’ inventions. Re-engineering existing products to improve efficiency can be enough to produce a great, innovative and potentially patentable product. Spencer also raises his worries about going international and getting manufacturers in China. Going international can be a huge concern for a lot of businesses. But there’s plenty of help available. 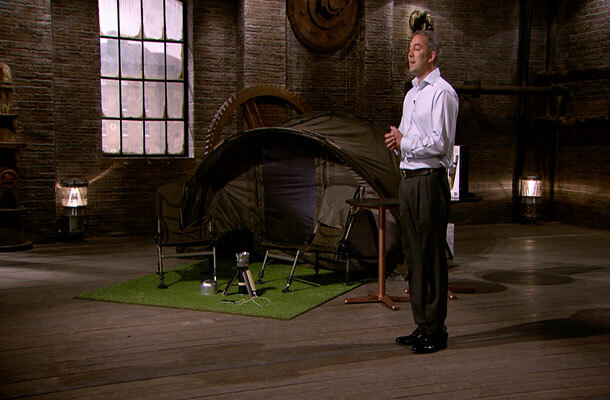 Peter Jones and Deborah Meaden were getting competitive about what they could offer Spencer. Peter has innovation centres in Singapore, Hong Kong and Taipei. Deborah has Stuart. But the IPO has international attachés located in China, Brazil, India and the ASEAN region who are there to help you with your international IP concerns. Well done to Spencer with his Tegstove being so fiercely contested. Unfortunately, Deborah’s fingers get burned as Spencer takes up Peter Jones’ offer. Ekko Glass offer a similar glass crushing product (and from their website it seems like they have been doing so since 2001). Their crushed glass can be optically sorted and used to make new container (bottle) glass (Viridor will accept it). Glassbusters only claim that their glass is converted into "Eco-sand".